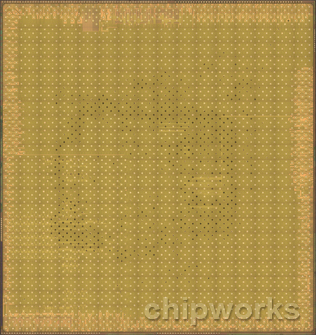 After conducting its ritual teardown analysis of the new iPhone 5s and iPhone 5c, both of which went on sale earlier today in the United States, China and an additional nine major global markets, the repair experts over at iFixIt teamed up with Chipworks for a high-tech analysis of the iPhone 5s’s innards. 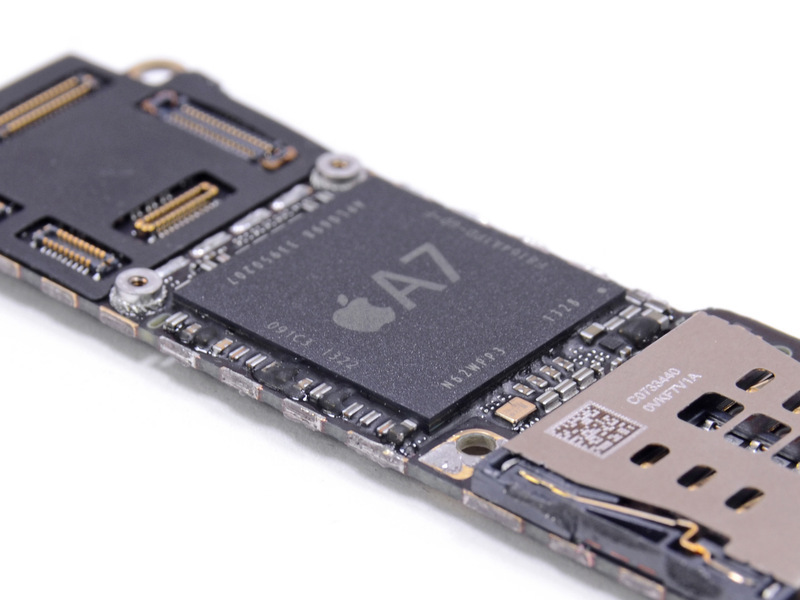 According to both iFixIt and Chipworks, Apple for the time being continues to rely on Samsung’s semiconductor manufacturing expertise to build the A7 chips in volume. The A7 package, pried open. “We have confirmed through early analysis that the device is fabricated at Samsung’s Foundry,” Chipworks states. 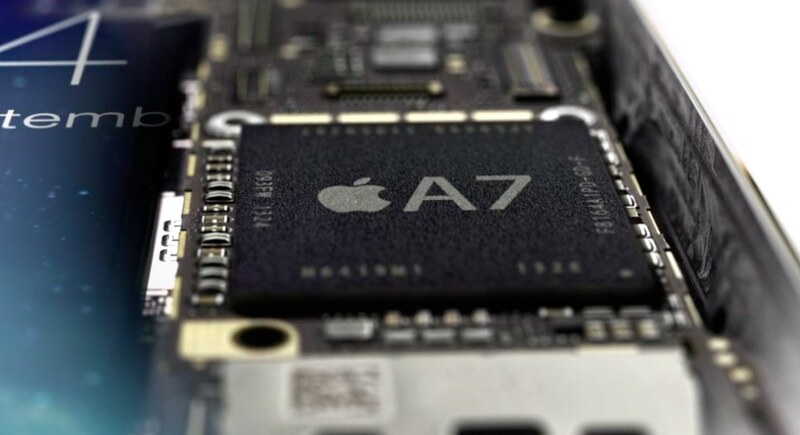 The chip experts believes the A7 is being fabbed on Samsung’s 28-nanometer Hi K metal Gate (HKMG) process technology that the South Korean conglomerate uses for its own Galaxy S4 Exynos processor. The die markings give it away. We’ve been of course expecting such an outcome. 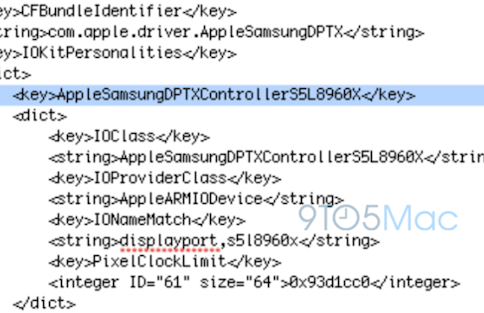 Keep in mind that code strings discovered back in June in early iOS 7 Betas pointed to the then-unknown next-generation iPhone processor being built by Samsung. By the way, The Korea Times may want to scrutinize their sources. As for the M7 – a brand new chip tasked with taking continuous measurements from the accelerometer, gyro and compass sensors while the A7 is sleeping (these tasks would draw six times the power if handled by the A7 processor), the package has been identified as the LPC18A1 module, which happens to be made by NXP. 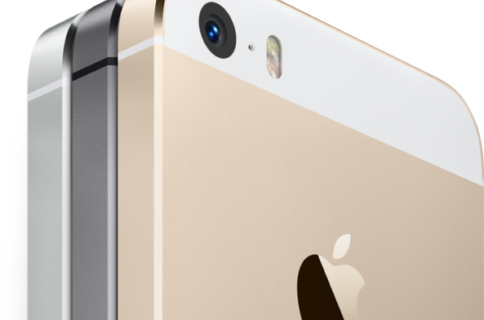 Yes, Apple simply rebranded (and likely customized) NXP’s chip. Noting that the LPC1800 series are “high-performing Cortex-M3 based microcontrollers,” Chipworks concludes that this is obviously a major win for NXP. The compass sensor is Asahi Kasei Microdevices’s AK8963 unit, while STMicroelectronics continues to supply the three-axis gyroscope. 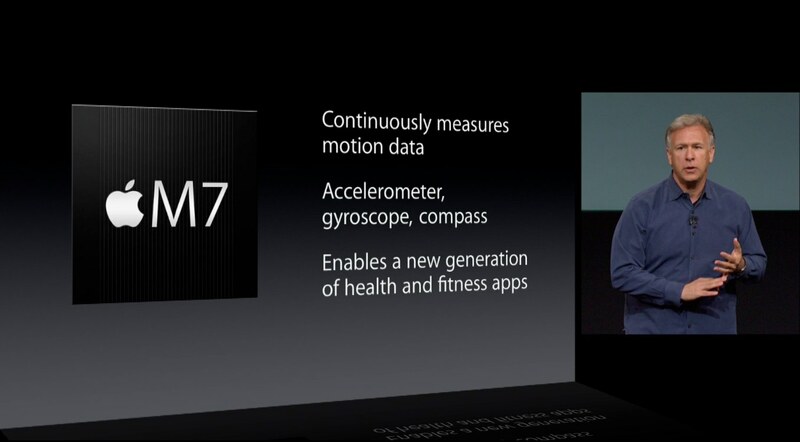 Interestingly enough, Apple no longer sources the three-axis accelerometer from STMicroelectronics. 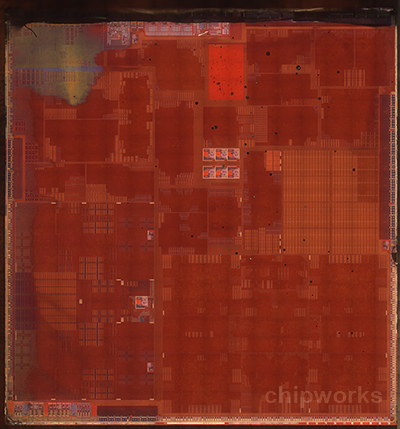 Instead, Chipworks identified the accelerometer as Bosch’s Sensortech BMA220 unit, the first a Bosch MEMS device made its way inside any iPhone. 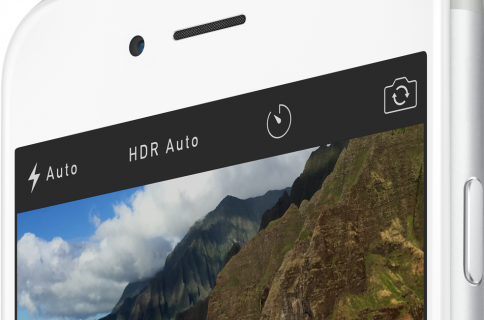 As for the back-facing iSight camera with a fifteen percent larger CMOS sensor, that part is a custom 1.5 µm pixel pitch stacked Sony Exmor-RS sensor. 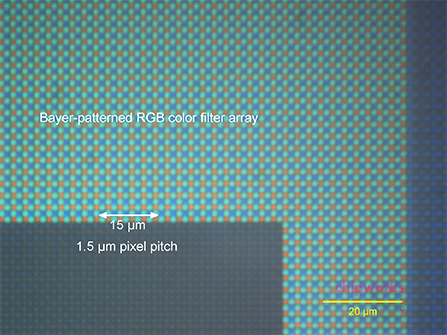 We first saw Sony’s stacked CMOS image sensor chips in the 8 Mp ISX014 (from a Fujitsu tablet), and then in the 13 Mp IMX135 from the Samsung Galaxy S4 primary camera. Other notables include a Broadcom BCM4334 package with 802.11 a/b/g/n single-stream MAC/baseband/radio, Bluetooth 4.0 + HS and an integrated FM radio receiver, Qualcomm’s MDM9615M 4G LTE modem utilizing “a two-chip solution in the form of a Samsung DRAM to retain carrier specific information and a Samsung-fabricated LTE baseband processor” and more. To learn more about the A7, check out AnandTech’s excellent analysis. The revelations raise an interesting question: what exactly is TSMC building if not 2013 iOS device chips, as the credulous Wall Street Journal reported? Maybe next-gen processors for an iPhone 6 and 13-inch iPad? Of course, it’s entirely possible that Apple commissioned TSMC to build smaller quantities of the A7 processors until it becomes confident in the foundry’s ability to meet Apple’s large volumes.